Don't Shoe Me: Pants Don’t Stay Up... That's what he said!! Ok, so ofcourse by now you already know that I gravitate towards bad boys ;-). And just cause I like to think of myself as the arty farty types, I am totally into the art of tattoos. Loved Brian’s ink and his entire look. 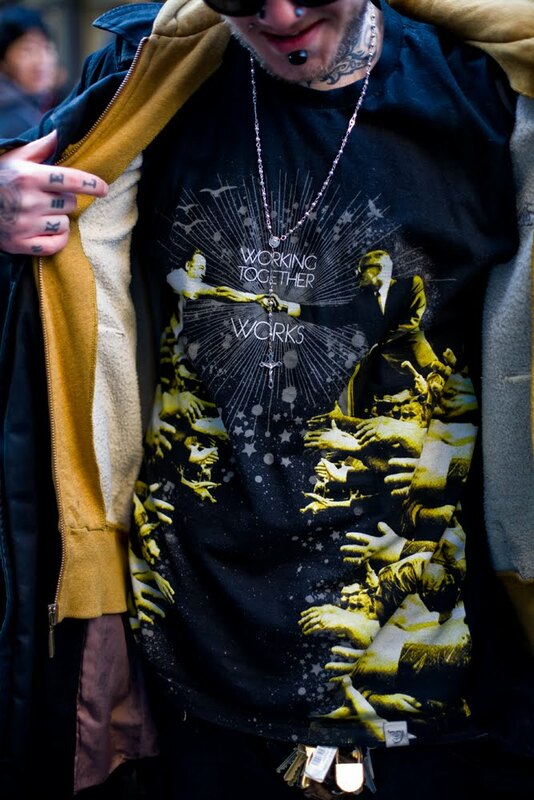 The “Working together Works” shirt was the perfect bad boy but good boy touch. 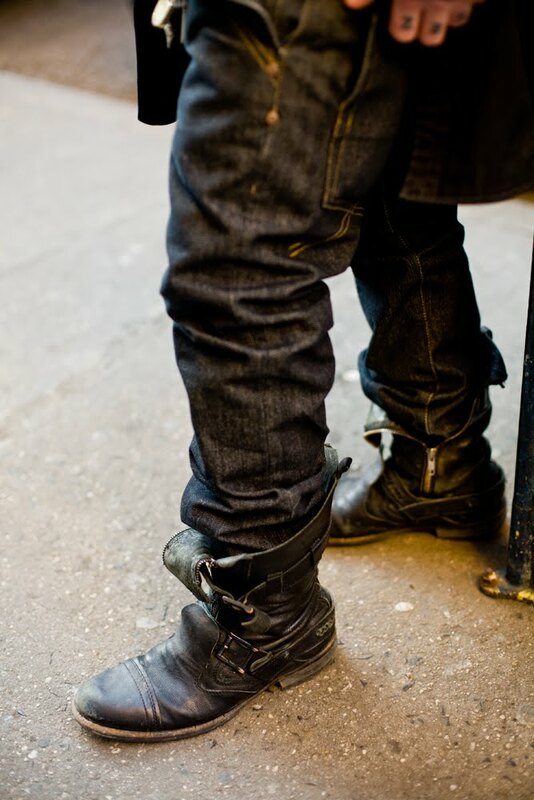 And the hugo boss vintage boots take it all. Brian is a music engineer and producer and I am totally trippin on his style!! Belated Happy Birthday Brian!! Friggin' loves the blog by the way, your photos are amazzzing!